November is National Adoption Awareness Month, with a specific focus on children adopted out of foster care. It’s also the perfect time to focus on all forms of adoption awareness, and there has been a wealth of great picture books in recent years to speak directly to the unique needs of adopted children. Tell Me Again About The Night I Was Born by Jamie Lee Curtis (HarperCollins, August 2000) - A darling book with adorable illustrations & subtle background details that enhance the story, this plot is more specific for international adoptions. Who’s Your Daddy by Lisa & Missy Harper (B&H Kids, October 2018) - Based on a conversation that popular author & Bible teacher Lisa Harper had with her adopted daughter Missy, this book teaches kids (specifically from single mom homes) about the awesomest Daddy of all - God. Just Right Family by Silvia Lopez (Albert Whitman & Company, March 2018) - Perfect for adopted children whose parents are adopting again, this story celebrates interracial adoption as well as a multiple-adoptee home. I Wished For You by Marianne Richmond (Sourcebooks Jabberwocky, January 2008) - Not specific to any specific type of adoption, this is a sweet conversation between adopted son and adoptive mother. Why Did You Choose Me? by Katie Cruice Smith (Ambassador International, November 2017) - Another example of a question/answer conversation between parent and adopted child, this sweet poem assures children that they absolutely belong. 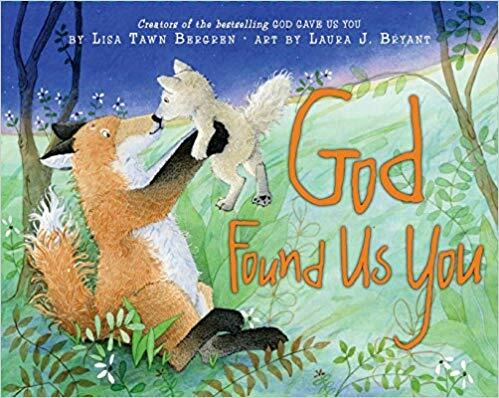 God Found Us You by Lisa Tawn Bergren (HarperCollins, June 2009) - Precious story where a mother tells her adopted son all about how he is an answer to prayer and a blessing. Can work for domestic, international, foster care, etc. 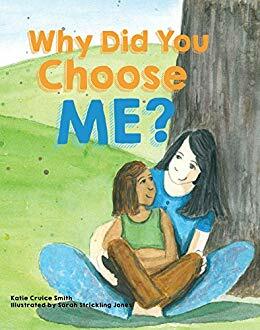 We Chose You by Tony & Lauren Dungy (Harvest House, April 2019) - Soon to be released, this new children’s book from the Dungys is written with adoptees in focus but is meant to reassure every child (whether birthed or adopted into a family) that they are loved & chosen. We Belong Together by Todd Parr (Little, Brown Books for Young Readers, February 2011) - Bright and colorful, Parr’s book addresses the fact that not all adoptions - or children or families - are created equal. 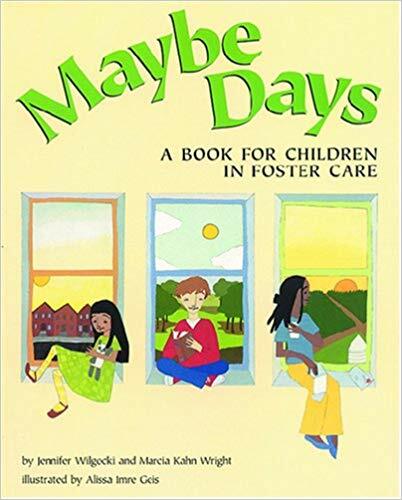 Maybe Days by Jennifer Wilgocki (American Psychological Association, February 2002) - Addressing the fact that, for many foster children, the answer to most questions is ‘maybe’, Maybe Days may not be an easy read for everyone but it’s meant to open conversation and help kids feel not so alone in their uncertainties. Speranza’s Sweater by Marcy Pusey (Miramare Ponte Press, February 2018) - Another great conversation starter that doesn’t shy away from the emotions of foster care but gives children permission to feel those emotions - while maintaining a light, sweet, hopeful tone. Love You From Right Here by Jamie Sandefer (Lucid Books, May 2017) - This is a very gentle story of a foster mom promising to love their foster child through the range of emotions the child might be experiencing. What’s really cool about this book is that it doubles as a keepsake for foster parents to work on with the child - giving the child good memories to go back to later, even if they are no longer in that home. 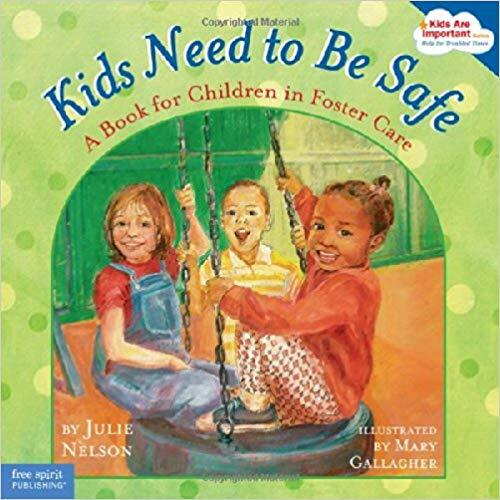 Kids Need to Be Safe by Julie Nelson (Free Spirit Publishing, December 2005) - Definitely not a ‘sweet, fuzzy’ read, this book is a frank and honest look - through text and illustrations - at the conditions that foster children come out of. It also assures them that they aren’t in foster care because they are ‘bad’ and promotes a message of hope and needed support.